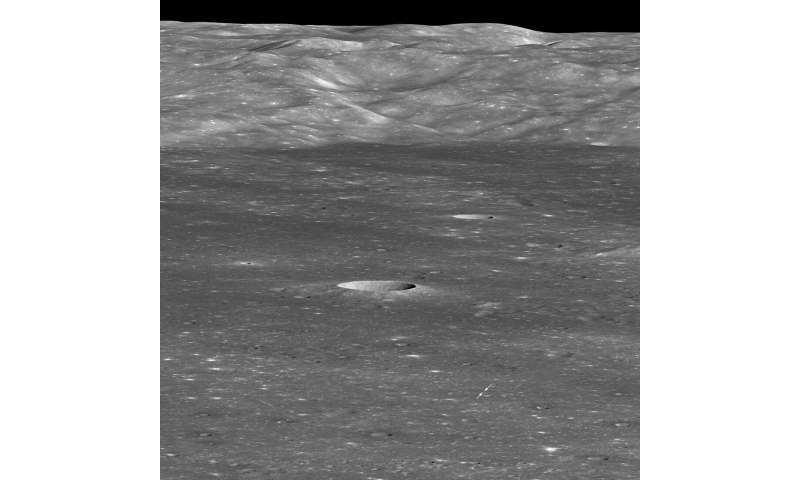 On Jan. 3, 2019, the Chinese spacecraft Chang'e 4 safely landed on the floor of the Moon's Von Kármán crater (186 kilometer diameter, 116 miles). Four weeks later (Jan. 30, 2019), as NASA's Lunar Reconnaissance Orbiter approached the crater from the east, it rolled 70 degrees to the west to snap this spectacular view looking across the floor toward the west wall. 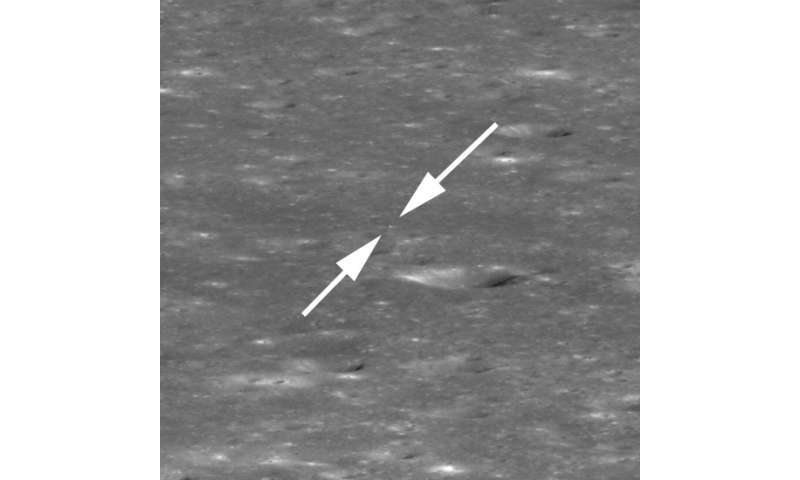 Because LRO was 330 kilometers (205 miles) to the east of the landing site, the Chang'e 4 lander is only about two pixels across (bright spot between the two arrows), and the small rover is not detectable. The massive mountain range in the background is the west wall of Von Kármán crater, rising more than 3,000 meters (9,850 feet) above the floor.